Jenny Morris recently featured a recipe from A Taste of Israel by Nida Dequtiene in her weekly 48hOURS column. In the column, Morris relates the story of the Lithuanian Dequtiene’s experience of Israel and the food blog that A Taste of Israel developed from. “This book” Morris writes, “is an open door into the kitchens of the ordinary Israeli home.” She adds that it contains recipes “for dishes that do much more than satisfy hunger”. The recipe for Chraime (fish cooked in tomato sauce) featured in the article is a lesser-known alternative to Gefilte Fish. Ashkenazi Jews from central and Eastern Europe take great pride in their traditional gefilte fish recipes, but Sephardic Jews, hailing from the Iberian Peninsula or North Africa, don’t look twice at the boiled fish patties. Their culinary answer to this Ashkenazi favourite is chraime – saltwater fish stewed in a spicy, aromatic tomato sauce. From Shabbat, through Rosh Hashanah, to Pesach, not a single Sephardic holiday is without chraime. 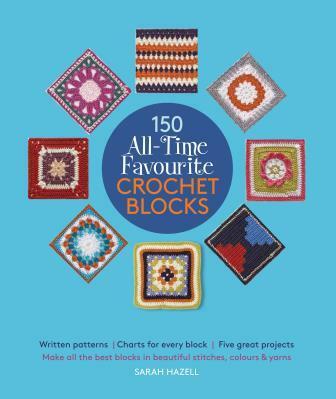 Each crochet block is categorized by skill level, with a crochet chart and row-by-row instructions. A short description focusing on each block’s special features and characteristics has also been included. The crochet charts are large and colour coded to the crocheted sample. The chosen yarn palette will remind crafters why they fell in love with a particular block the first time around or, for newbies, it could be the start of a new life-long hobby. Sarah Hazell is a knitting and crochet designer based in the UK. Her love of knitting led to a love of crochet and she has authored or co-authored two other crochet titles. In author Degutiene’s own words: “When you live in Israel it’s plain to see that food holds a special place in Jewish life. From early morning until dawn the next day, Israelis are always noshing on something and enjoying one another’s company, and on any given holiday the festive table groans under the weight of a multitude of dishes and goodies. This book is an open door into the kitchens of the ordinary Israeli home, an invitation to explore the country’s diverse street food and a glimpse behind the scenes at some of its gourmet restaurants. Available for the first time in English, A Taste of Israel describes the food through the eyes of a foreigner and non-Jew, who was lucky enough to become part of that Jewish community. 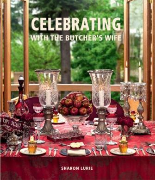 Chapters are divided into the usual arrangement of appetisers, starters, mains and desserts, but there are also sections on the different religious festivals, as well as detailed information of what constitutes “kosher”. All the well-known classics are there, such as Gefilte fish, Knaidlach, Latkes and Challah, and more, in the 100 plus recipes, whether traditional or modern. Nida Degutiene is an experienced businesswoman, devoted food blogger, writer and freelance journalist. Hailing from Lithuania, she arrived in Israel in 2009 as the wife of the Lithuanian Ambassador to Israel and South Africa and immediately fell in love with Jewish food, culture and traditions. Once she discovered that many nostalgic dishes from her childhood are actually Jewish culinary heritage, blended over centuries into Lithuanian cuisine, she begain to share this knowledge and her experience of living in Israel on her blog. She currently has 30 000 unique followers and boasts more than 40 000 visits per month. Over the past five years Degutiene has written over 300 articles covering lifestyle, travel, culinary arts, culture and business for Israeli and Lithuanian newspapers and magazines, and has her own column in Lithuania’s leading monthly lifestyle magazine. 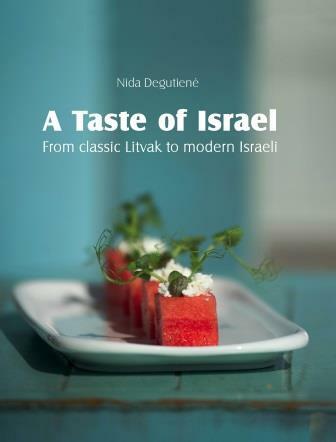 In 2014 Degutiene published her first cookbook, A Taste of Israel in Lithuanian and it reached the Top-10 seller list in Lithuania. Sharon Lurie, author of Celebrating with the Kosher Butcher’s Wife, and Fay Lewis, author of Be My Guest, have shared their favourite Passover dessert recipes with The Star. 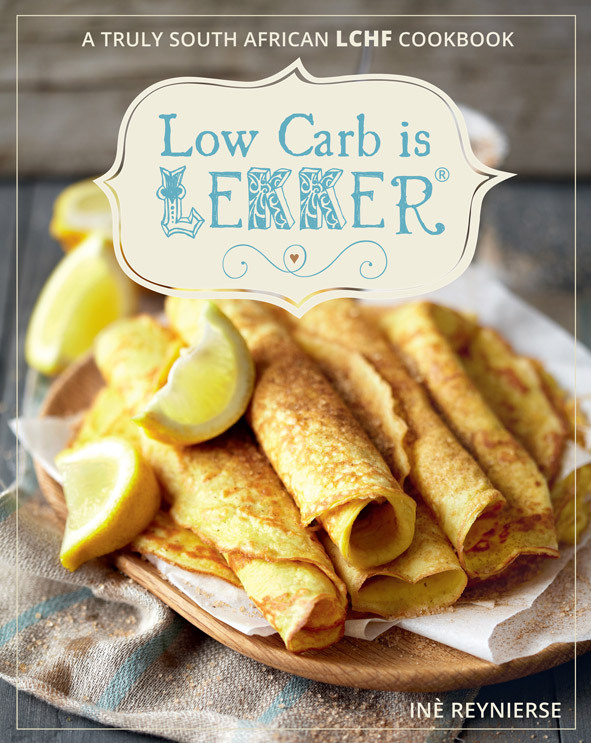 Struik Lifestyle, an imprint of Random House Struik, is the South African winner of six Gourmand World Cookbook Awards for 2012/2013, which now qualifies them for the “Gourmand Best in the World” competition. The Gourmand World Cookbook Awards were founded in 1995 by Edouard Cointreau and every year they honour the best food and wine books. The winner in each country will compete against winners in the same category in other countries for the title of “Best in the World”. The results will be announced on the 23rd of February 2013 at the annual Awards event in Paris. If you’re short of time and looking for inspiration, dip into 500 Quick Meals for fresh and new recipes that are ready in no time. 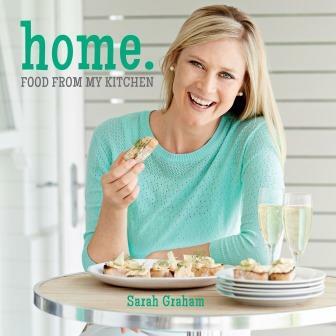 Perfect for the busy cook, for meals after work, or just to make something to go, this book has plenty of ideas to inspire, no matter how little time you have in the kitchen. Even though all the recipes may be prepared in 30 minutes or less, you don’t have to compromise on quality as fresh ingredients are used to capture real flavour. In addition to basic recipes that no busy cook should be without, a wide range of cuisines is covered, from European and American classics to those of Mexico, Asia and the Middle East. The meals are balanced for good health and many have low-fat, gluten-free and vegetarian options. Deborah Gray has had an interest in wholefood cookery since working in a trendy health food café in London. Following a spell working in publishing in the US, she returned to the UK and worked on cookery partworks, wrote numerous cookbooks and has also been a cookery editor. Gray is also the author of 500 Vegan Dishes. Drawing is a language, and Practice Makes Perfect: Sketching and Drawing contains the grammar and vocabulary necessary for readers to develop their own style. It is also a book that doesn’t believe in ‘can’t draw’. After a brief introduction and expansion on how the book works, would-be artists are encouraged to consider their individual setups. They are then taken through a series of clearly illustrated, written and designed exercises on the basics of mark-making. Each series is based around a main theme, such as composition or tone, and each section concludes with a more detailed, four page ‘genre project’ that brings the separate elements together. 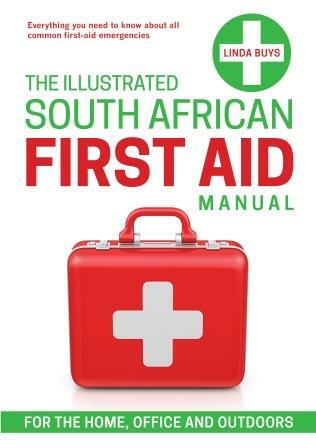 The book is informed but informal and presented in a combi-pack with an accompanying sketch pad, so that readers can instantly practise the drills and skills provided. Matt Pagett is a London-based writer, illustrator and artist. He has exhibited his work internationally and has authored and illustrated numerous books. Drawing has always been at the heart of Pagett’s artistic output. He has used a variety of methods and media, from the traditional to the digital, and he continues to explore the various ways in which drawing can inform how we look at and relate to the world around us. Who hasn’t heard – at least once – that breakfast is the most important meal of the day? The demands of everyday life have made this crucial meal fall to modern conveniences and for many of us, our morning feed is limited to pouring cereal out of a box. With 500 Breakfast & Brunch Dishes, breakfast need never be a bland and unsatisfying experience again. From delicious homemade power bars, protein shakes and vitamin-packed juices to exquisite egg dishes and fibre-rich muffins, the options are unlimited for nutritious and fulfilling breakfasts. 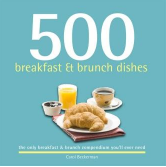 Packed with recipes you can prepare in under 10 minutes, or even the night before, 500 Breakfast & Brunch Dishes takes the rush out of weekday breakfasting. Taking inspiration from different cultures, this volume will allow you to experiment as well as try out home recipes for restaurant favourites. It includes a look at the ingredients commonly used, from various grains, fruits, nuts, yoghurts and cheeses. Carol Beckerman is a freelance food writer and enthusiastic cook with more than 40 years’ experience. Having run the kitchen for a traditional English pub and catered for large events, as well as weekly neighbourhood parties in the US, she now chooses to cook and bake for restaurants and run a website devoted to dairy-free cooking. 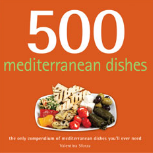 This Mediterranean collection contains 500 mouthwatering recipes for every meal, simple gathering and special occasion. From simple tzatziki to more elaborate Serrano ham and shrimp tostadas, or a fresh and fruit-filled dessert, you’ll find just what you need every time. An introductory section covers all the preparation and cooking essentials, including equipment, ingredients and troubleshooting advice. The book includes recipes for meat, vegetables and fish such as empañadas, piperade and Sicilian stuffed swordfish rolls. Create traditional mezethes, breads, risottos and salads with inspiration from all of the Mediterranean’s culinarily diverse regions. Valentina Sforza is a descendent of the famous Renaissance Sforza family. She is an expert on Italian gastronomy and has enjoyed a long career writing about and teaching authentic Italian cooking. She now lives in London and teaches at several cookery schools when not writing or offering her services as a consultant or as a private caterer. 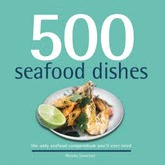 500 Seafood Dishes is a fresh, exciting collection of recipes for all types of fish and seafood, from abalone to zander. Whether you’re looking for a side dish or a main meal, a wholesome lunch or a cocktail snack, there’s a seafood dish here for every occasion. To start off there’s advice on making fish part of a balanced diet, as well as why and when to buy sustainable fish from responsibly managed sources. 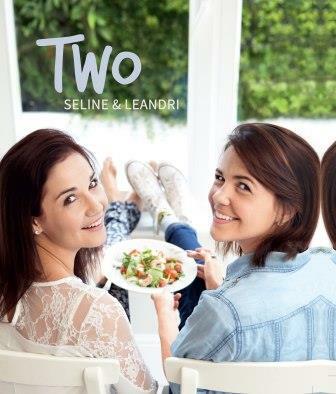 Recipes include classic dishes from around the world, including healthy Southeast Asian noodle dishes, rich, classic French food, as well as traditional family favourites. With 500 recipes for freshwater and saltwater fish, as well as crustaceans, molluscs and other seafood, you’re sure to find exactly what you’re looking for, making this the one and only source you’ll ever need for seafood ideas. Wendy Sweetser specialises in food and travel writing and is food editor of various magazines in the UK, including OK! and The London Magazine. This fairy-tale recipe book takes readers back in time. It’s a culinary adventure story with recipes – six historical feasts inspired by books, legends and fairy tales. Research for the book included a study of Grimms’ fairy tales, re-reading Dracula and Charlie and the Chocolate Factory as well as work with Slush Puppy machines and microwaves. Though not himself a vegetarian, Yotam Ottolenghi writes a weekly column, The New Vegetarian, for the Guardian’s weekend magazine. Following the success of his Ottolenghi: The Cookbook , Plenty is a collection of recipes first created for the Guardian column. Now, I am one to skim through cookery books and put markers in those places that might encourage a second visit. But, with Plenty , by the second chapter I scrapped the post-its – it was clear that I would be marking every other page . This is the enchanting story of two South African friends who discovered rural France. They travelled, tasted and were utterly seduced, becoming neighbours with a South African couple, Anet Pienaar and her husband, as passionate as they were about experiencing life in France, in the medieval town of Boussac. When their Château de la Creuzette opened its doors to guests, a world of sensory pleasure opened up. The château has become the fabulous setting for a week-long stay for cooking, painting and writing, all interspersed with exquisite meals, superbly orchestrated and each meal a feast for the eye. Jekka’s Herb Farm now has more than 650 varieties, making it the largest such establishment in the UK. She is a regular gold-medal winner at the Royal Horticultural Society exhibitions and Chelsea Flower Show. Though she is well known for her TV programmes and radio broadcasts, Jekka’s Herb Cookbook is her first major cookbook and is a thoroughly delightful guide, though it’s limited to her top 50 favourite culinary herbs. There are no big colour photos but McVicar’s daughter, Hanna, has filled the book with beautiful and delicate illustrations of all the herbs. 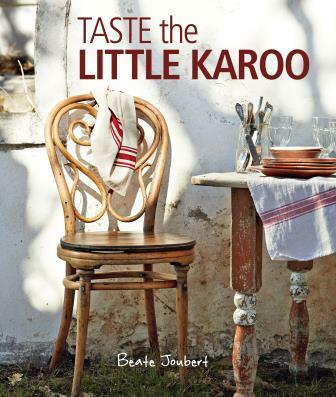 This cookbook for boys is beautifully put together by Jason Comins, whose KwaZulu-Natal-based family are into food in a major way. His mother, Colette, wrote The Farm Kitchen and the man himself trained as a chef at the Ballymaloe cookery school in County Cork, Ireland . Why did I choose it as my book of the year? Because it is brimming with great, simple recipes that are easy to understand. You’ll find no filet de boeuf or fifi de la bonbon here – just plain old whole fillet, lamb chops and other blokey meals.